Turning your dataset into a package is very useful for reproducable research. 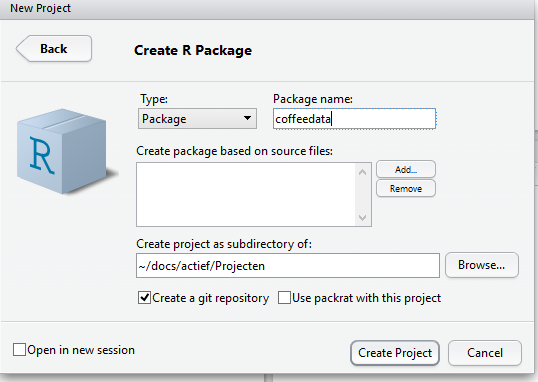 This tutorial is for you, even if you’ve never created a package in r.
Why would you turn your dataset into a package? *: Steps 4-6 are optional, but will help you in practicing for other packages. 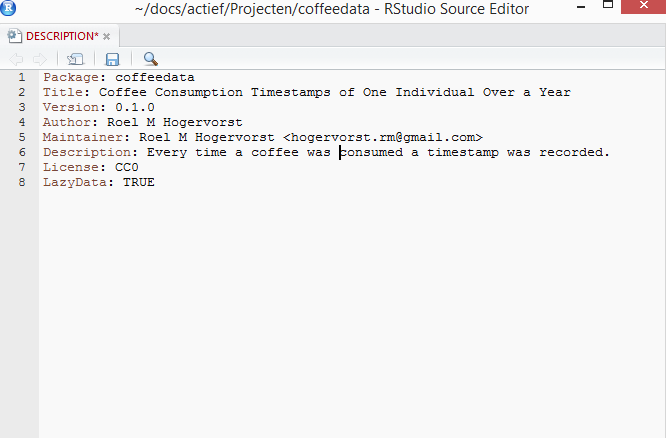 In this example I will make a package from my all the times I drank coffee. I started keeping score because I realized I drank more coffee since working full time. This is just a file which contains time stamps whenever I drank coffee. I have some missing values, because I sometimes forget, but mostly it’s correct. This file is not really useful to anybody except maybe me, but a package is quite useful for a variety of analyses. Let’s walk through the steps, follow along with your dataset. use lowercase, CoffeeDataSet gets confusing. Naming packages is really hard, it needs to be descriptive and unique. But this is less important if you only share the package with yourself and friends. think about the name, dataset21really is not descriptive nor helpful for you in the future. Ideally you will want to save both the raw file and the cleaned dataset, with a script (or rmarkdown document) that describes the actions you took to clean the raw file. I assume that you are now in the rproject you have just started. 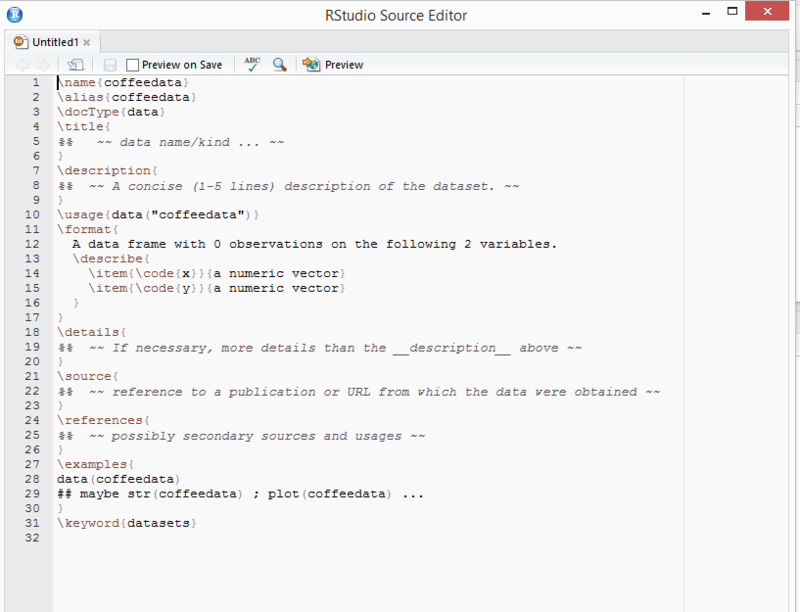 Then do one of the following (replace coffeedata with your data set’s name). 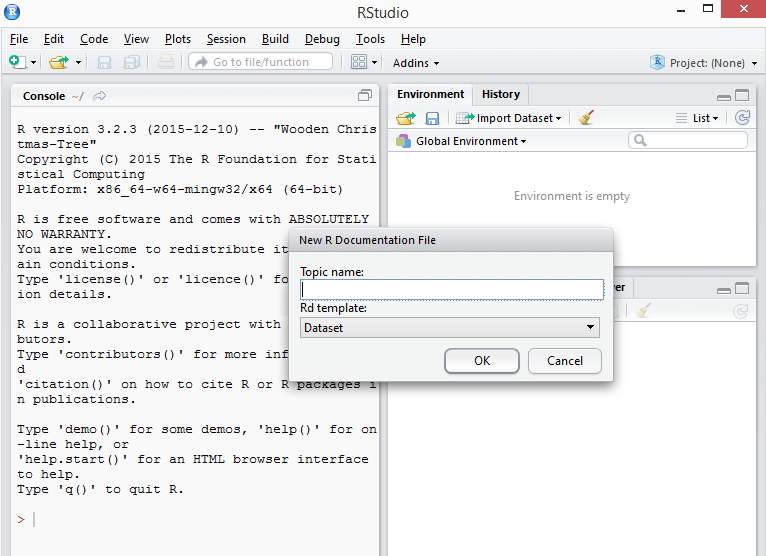 This command will create a data folder and put the file in there with the rda extension. When you started the project a description file and an example function was created: Open the description file. Every package must have a DESCRIPTION. In fact, it’s the defining feature of a package (RStudio and devtools consider any directory containing DESCRIPTION to be a package). To get you started, devtools::create(“mypackage”) automatically adds a bare-bones description file. This will allow you to start writing the package without having to worry about the metadata until you need to. Fill in the meta-data of your package. Title: Use Title Case in One Line. You might think that the license is a bit too much for a package you build. But it it’s really hard. If you don’t give a licence your data is under your copyright and no one can use it. For datasets a CC0 licence puts the data in the public domain and makes it free to build upon, enhance and reuse the works for any purposes without restriction under copyright or database law. For packages that contain code (most of the packages) other licenses are better: http://choosealicense.com/ . this creates a file in the folder R/ . Click on the file and add stuff. Step 4: describe the package with a vignette. after you changed the files use devtools::document() to create documents. If your package is very simple, consisting of only documentation and a datafile, your build will be completed and works. Click on build & Reload and try out your new package. How do I share this package? Once installed you can use the package anytime you like with library(package) But you might want to share your package with colleagues. 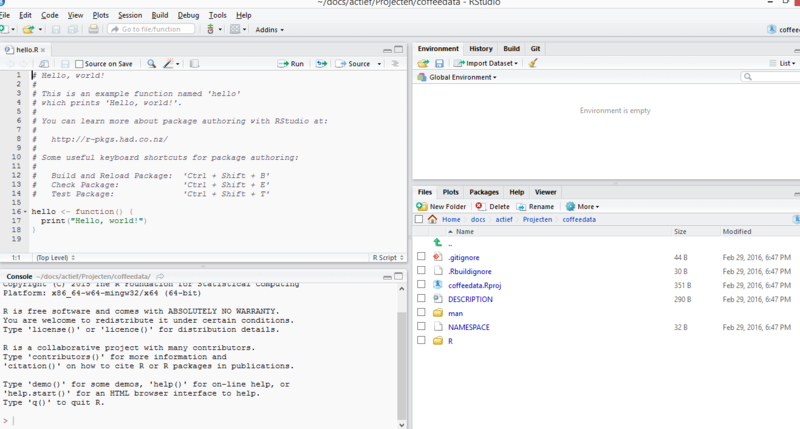 After you build the source package, a file is created, in my case: “coffeedata_0.1.0.tar”. That file is shareble and can be installed on someones computer. They will need to build from source. Online: upload your project using git to either Github https://github.com/ (many people use it, but can’t restrict access in free version) or Bitbucket https://bitbucket.org/ (close off your project). Or any other sharing service. Yes I have created the file for you. Now you all know how many coffee I drank. Even worse, you can do what you like with that information, because it’s in the public domain. See Further reading to find out more about other ways to share your package. If your dataset changes, you should update the package. I don’t have a description file or any of the other folders… or devtools gives me errors. Check if your project has forbidden characters: dots, dashes or spaces. the folder disappears! I cant check the log. This is a good thing, it means your settings are so that non failing builds are removed. 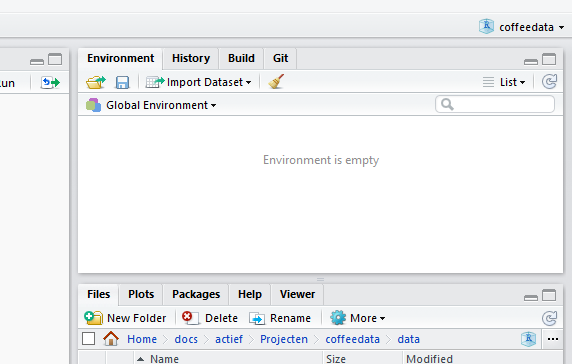 Change this in Rstudio Global Options, go to packages, and uncheck the option: clean up output after succesful R CMD check.